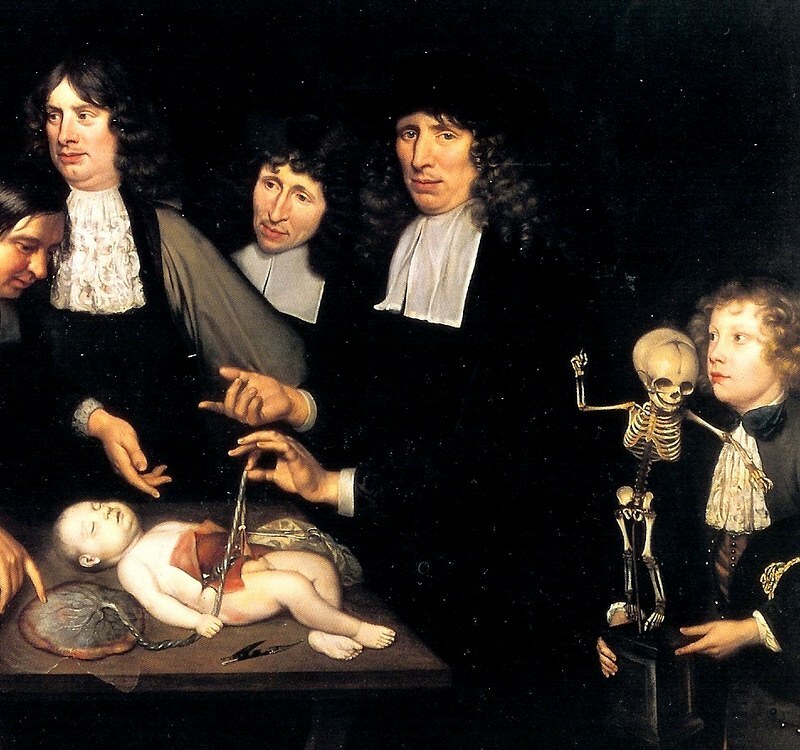 Detail from Jan van Neck’s Anatomy Lesson of Dr. Frederick Ruysch (1683), showing Ruysch in the centre with an infant cadaver – Source. 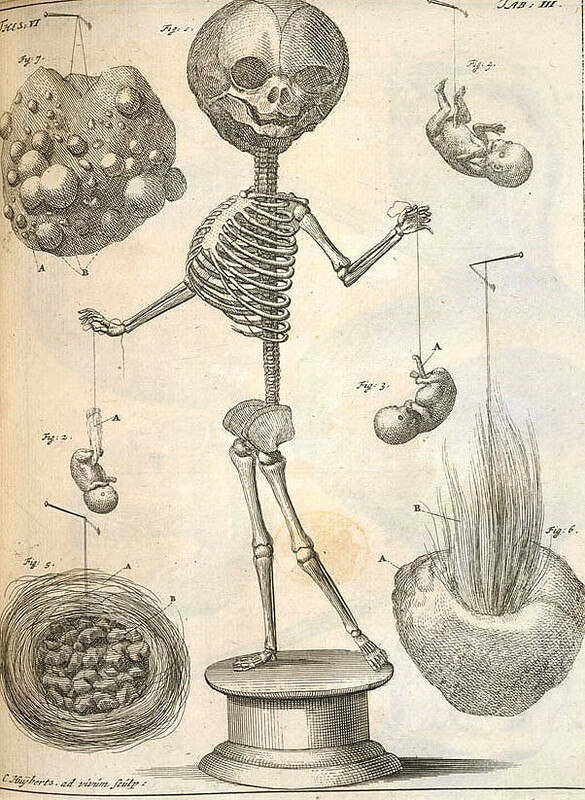 A depiction of one of Ruysch’s displays, featuring infant skeleton’s weeping into handkerchiefs, as featured in Alle de ontleed- genees- en heelkindige werken…van Fredrik Ruysch… vol. 3 – Source. 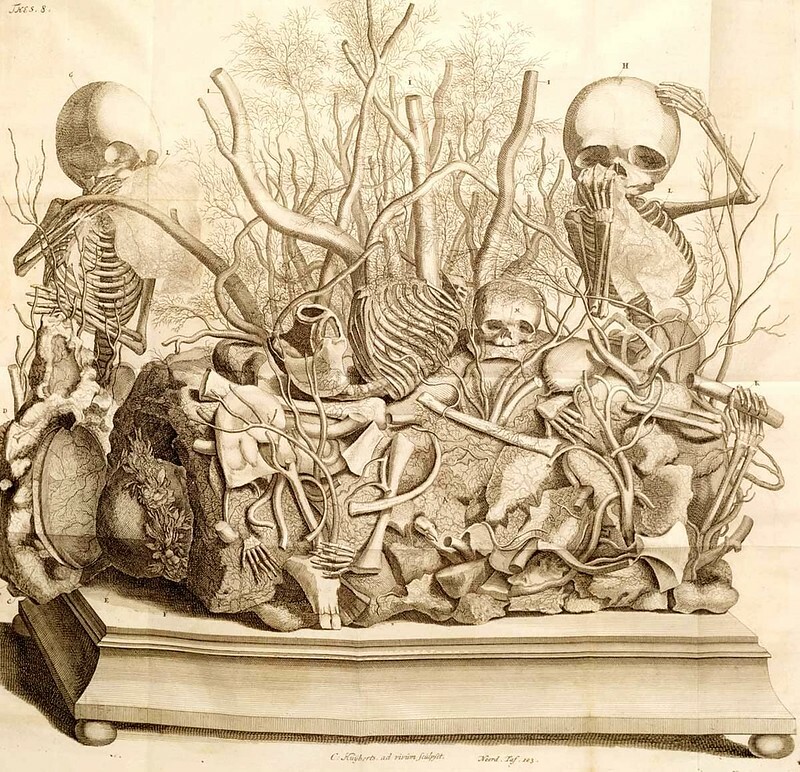 One of Ruysch’s “embalming jars”, from his Thesaurus animalium primus (1710) – Source. 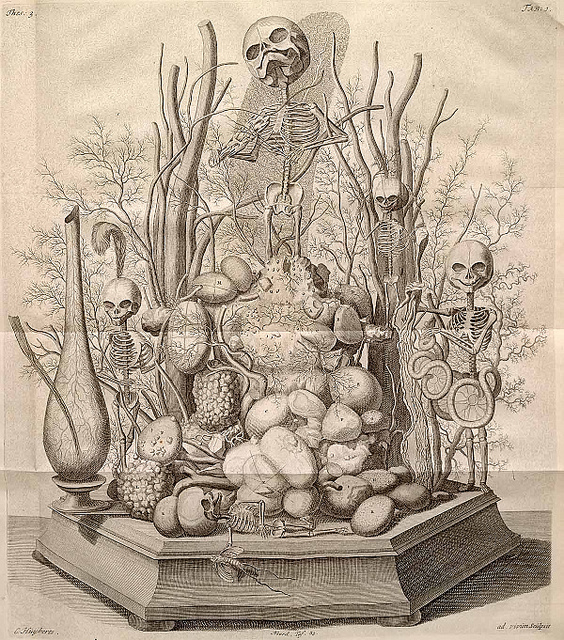 A depiction of one of Ruysch’s displays, as featured in Alle de ontleed- genees- en heelkindige werken…van Fredrik Ruysch… vol. 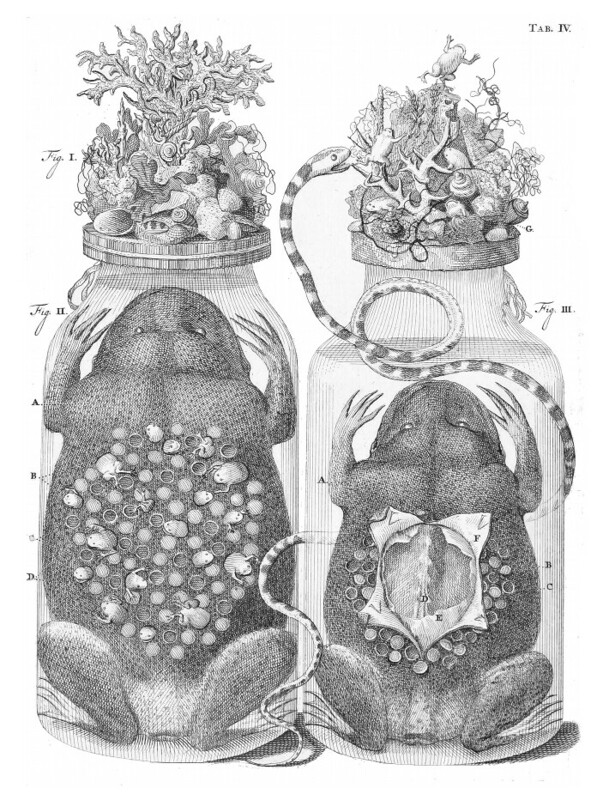 3 – Source. of Giacomo Leopardi (1882), translated by Charles Edwardes.